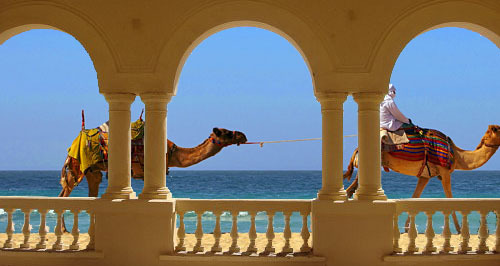 The Home Page of Tifinaghs at Taghazout. Welcome to the Homepage of Tifinaghs. Here is where I can tell you why you simply MUST come and stay! 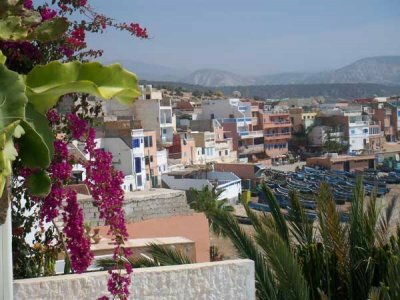 Our self catering apartments are all directly over-looking the Atlantic with views that stretch all the way down the coast to Agadir and up the coast to Anchor Point. Coming to Morocco is an adventure in itself and here at Dar Tifinaghs we aim to give you the best of both worlds – meaning comfort and security along with suggestions on how best to discover this beautiful part of the world. We have four well-equipped apartments that have recently been restored and updated with homely decoration using local artisans and rich Moroccan colours. There is plenty to do here on the beach, with surfing, body-boarding, fishing trips, yoga etc. but we also organise individual private trips. Such as a day visit to a small Berber mountain village where you can eat tagine (local dish) with the indigenous people of the country either in their home or under the palm trees by the river. 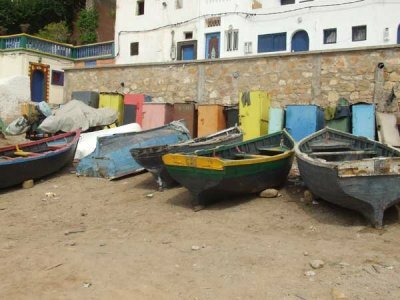 Other trips can also be arranged depending on what you have in mind – maybe a trip to the desert, bird-watching at Oued Souss, the film studios near Ourzazate, a day trip to Marrakesh, Essaouira and Taroudant or simply searching for wild life in the Atlas Mountains with a picnic – everything is possible. Taghazout Surf Cars Choosing Morocco as your next holiday destination why don’t you try for cheap car rentals with Taghazout Surf Cars. Secure, simple and easy online car reservation process makes Taghazout Surf Cars a quick service for car rental in Morocco.